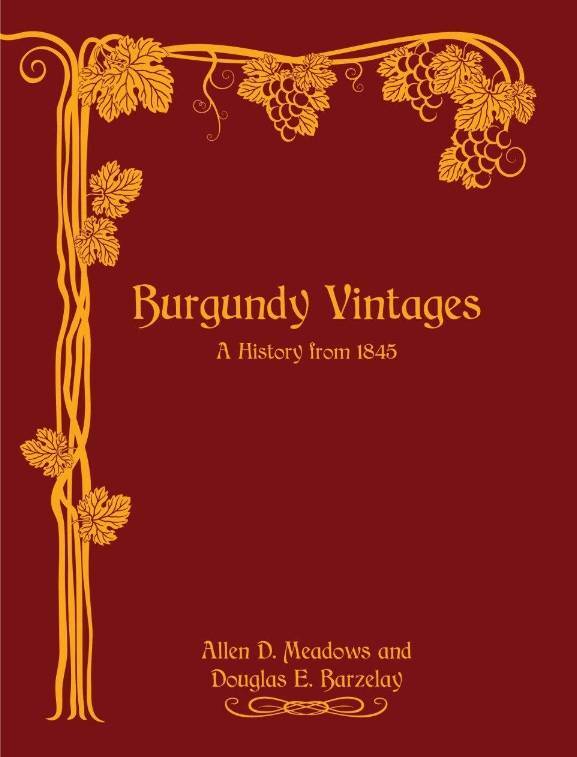 Burgundy authority Allen Meadows and longtime Burgundy collector and aficionado Doug Barzelay have just published an epic book that will be an essential reference for all Burgundy enthusiasts – from novices to longtime collectors. In Burgundy Vintages, Allen and Doug provide the reader with in-depth assessments of each vintage: what the growing season was like, how the wines have evolved, and what the future is likely to hold. Tasting notes provide further insight into the wines produced and what to buy, sell and drink — all especially critical as the price of Burgundy continues to escalate. 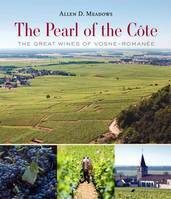 The book also describes how modern Burgundy was formed. It is the narrative of a journey that begins in 1845 with the oldest wine the authors have tasted and that articulates how, over the course of the ensuing 170 years, Burgundy’s culture, philosophy and techniques of winegrowing and winemaking all changed significantly. Even the vision of vinous beauty has inexorably transformed. Burgundy Vintages seeks to enrich the reader’s understanding of modern Burgundy by reconciling its present with its past even as it evolves in ways undreamed of a century ago. As Aubert de Villaine, the co-owner and co-director of the Domaine de la Romanée-Conti, has said, “One cannot truly appreciate Burgundy’s wines without understanding its history.” That history, however, is as complex as Burgundy’s maze of vineyards and ownership. It is the story of the struggle to produce some of the world’s most exceptional wines in a marginal climate and of the deeper struggle for the soul of Burgundy: whether its destiny would be controlled by its soils — the vineyards that in 2015 were declared a UNESCO world heritage site — or by the imperatives of commerce. Burgundy Vintages – A History from 1845 provides a comprehensive and fascinating account of Burgundy through each vintage. The authors describe what a Burgundy lover should expect from wines, both older and younger and provide useful information for collectors at all levels of experience. There are of course in-depth discussions of what to expect from each vintage and its current state of evolution. The authors rate the vintages and provide an overview that includes thorough discussions of the weather and harvests, the diseases and pests that have plagued Burgundy, the evolution of critical regulations and the history of fraud through current times. Each vintage is placed in its historical context and developments in viticulture and winemaking are described decade by decade, allowing the reader to better comprehend how Burgundy has evolved. The authors have shared many great (and sometimes disappointing) bottles. In Burgundy Vintages, they have singled out the wines that have had a lasting impact on one or both of them. Text boxes throughout the book provide vignettes of ancient and modern Burgundy as well as deeper dives into technical and other subjects. Allen and Doug believe that beyond offering sensory pleasure, every bottle of Burgundy has a story to tell, a narrative based on the complex interweaving of terroir, viticulture, winemaking and vintage. They look forward to having you join them on this 170-year-long vinous journey.